China Pakistan Economic corridor CPAC is become future of Pakistan and china so it’s necessary for Pakistani Youth to become skilled in every field of life to compete the international market. 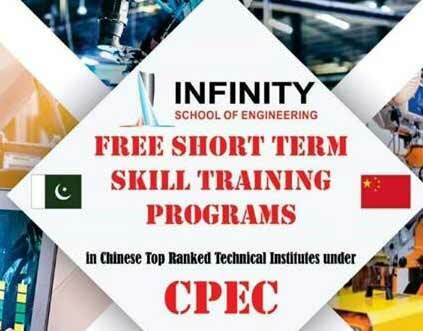 For this purpose Infinity school of engineering offering 50 days Free Skilled Training Program for Pakistani students and Youth in which 30 days Training will be provided in Pakistan and 20 days Short Term Skill Training Program classes will be held in China. 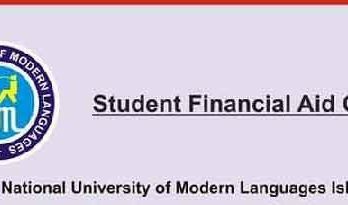 Infinity school of engineering gives opportunity for experienced professional and highly encouraged Pakistani Youth to become leader of Market by getting 50 days Training by Top listed Professional Teaching staff will be serve the selected students. DAE / Bachelor in electrical, electronics, Mechatronics and instrumentation. DAE / Bachelor in electrical with 01 year related experience. This Training program is 100 percent free of cost and all expenses will be bear by infinity school of engineering. Job Opportunities in china and Pakistan under CPAC (China-Pakistan Economic Corridor) projects in Pakistan and China.